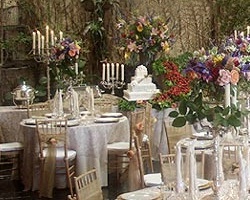 Astral Catering has been one of the leading wedding caterers in Houston for the past several years. Their international cuisine experience allows them to showcase deliciously unique menu items at every event. These professionals are capable of designing budget friendly as well as extravagant menus, event decor, and coordination. They can also assist in choosing which desserts, beverages and wines to serve your guests with their meal. 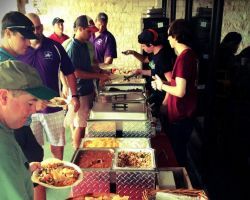 As one of the top local caterers in the Houston area, Astral Catering can meet the demands of both large and small events as they help to keep things running smoothly. No matter what cuisine you would like for your wedding, Cleopatra Banquet is able to provide. Their expert chefs are experienced in: Greek, European, Middle Eastern, Creole, Oriental, South American, Vegan, Mexican and many other cuisines. They do not only provide food but their packages can come with liquor, beer or wine and also great decoration packs. 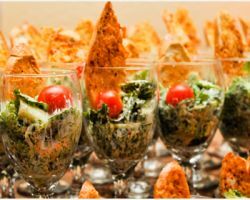 For catering in Houston, TX, Cleopatra Banquet is far ahead in quality of their menus and in how they understand the true needs of their clients. 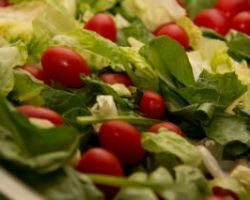 When Houston catering services offer an extensive menu, usually they are not as varied as you would want. That is why City View Catering aims to change all of that and truly allow couples to have their choice of hundreds of items. Producing everything from lunch platters to wedding cupcakes, their team of expert chefs produces some of the most delicious food in Texas. Every one of their reviews raves about their customer service and mouthwatering menu, which means you can be sure you are getting the very best quality. Regularly recognized by local media as one of the best wedding catering companies in Houston TX,Bennie Ferrell Catering has been in operation since 1959. This family business has built a strong reputation over the years as a top provider of excellent food and extraordinary presentation. Their chef can create a fully customized menu filled with indulgence to meet your taste. From boxed lunches to formal weddings, Bennie Ferrell Catering can take care of all your needs with everything from exceptional appetizers to delicious desserts. They also work with ice carvings that are always a unique centerpiece when added to any buffet table. With almost two decades of experienced, the Casas family has become one of the top options for wedding catering. 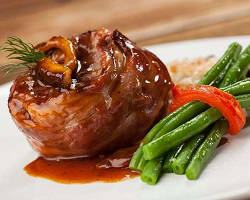 Their reputation has been built on providing quality home-style cooking and a highly reliable service. 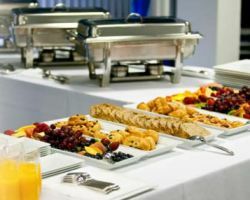 With your food they are able to provide you with service packages which add on a great number of extras including: white linen, staff to serve your food and cleaning services after the wedding has finished. All of these optional extras means that Casas Catering stays affordable whilst also always being delicious and expertly presented. It can be daunting to be told by all of the wedding catering companies in Houston, how you should have your wedding rather than listening to how you want it to be. Backyard Catering has made sure that they are completely flexible. You can choose one of their three catering options. The first is their drop off catering, perfect for a cheap alternative for a party or corporate lunch. Their full service catering provides anything you like from crawfish bbq, to Mexican food and anything in-between. Finally their food truck can add a unique touch to your special day.